Call Peter Kumar To Sell Your Classic Alfa Romeo In Any Condition. We Buy Vintage Alfa Romeo From Any Location in the US. CLASSIC ALFA ROMEO FOR SALE? We are always looking for classic Alfa Romeo's to buy. If you have a Alfa Romeo for sale we can help you determine its value. If you know someone who has an older or classic Alfa Romeo for sale, let us know! We pay finder's fees! Whether it has been sitting in a barn or a field for a long time, or it's a garage queen, we buy in any condition. Location is never an issue. We buy cars from all over the United States! Peter Kumar has over 30 years of experience. Please give us a call if you are considering selling your classic Alfa Romeo. We Are Classic Alfa Romeo Buyers: We are constantly eager to Buy Classic Alfa Romeos in any condition. 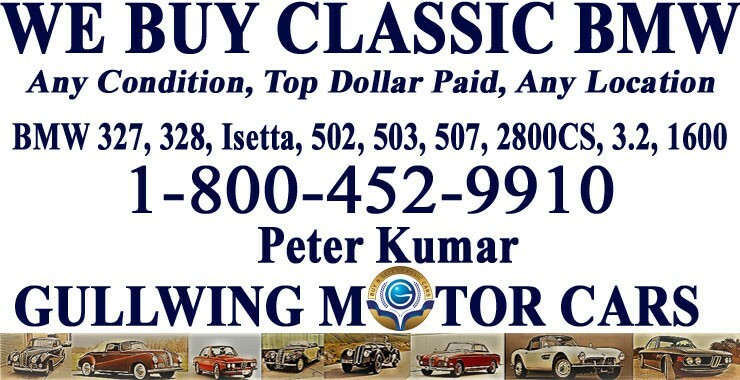 If you, your friend or family, or someone in your neighborhood is looking to Sell Classic Alfa Romeo, call Peter Kumar. We pay top dollar and gladly pay finders fee. We are eager to assist you in Selling Classic Alfa Romeo! One of the best part of our company is that no matter where in the US you are located, if you have a Vintage Alfa Romeo For Sale, call us and we will be right at your service. We make selling easy and simple for you by paying you instantly, picking up car and making transportation arrangements at our expense. Buying Classic Alfa Romeos in any condition is what our team does best. We Buy Classic Alfa Romeos in any condition, from it being in showroom condition to being buried in dirt and dust in a garage, barn, or sitting outside on your yard for decades. You can trust our company because we have over 30 years of experience in being professional Buyers in the Classic Car Industry. We will be looking forward to hearing from you, ask for Peter Kumar. Alfa Romeo was founded in 1910 making it the second oldest surviving Italian automaker next to Fiat. Alfa Romeo was originally a branch of Darracq which was a French car maker that sold cars to the Italian public under the anagram SAID (Societ Anonima Italiana Darracq). The sales of French cars in Italy were unsatisfactory so the Italians hired Giuseppe Merosi to redesign them and sell them as A.L.F.A's (Anonima Lombarda Fabbrica Automobili). The first Alfa Romeo branded car was called the 24 HP which they used to race in the Targa Florio in 1911. By 1920 A.L.F.A became Alfa Romeo and they started making bigger and more luxurious cars like the 20-30 HP. During World War II Alfa Romeo's factory suffered damage from Allied bombs and they were forced to reconsider their position in the market. They went from producing luxury cars to providing transportation for Italy that was fun, affordable, and with competitive fuel economy.